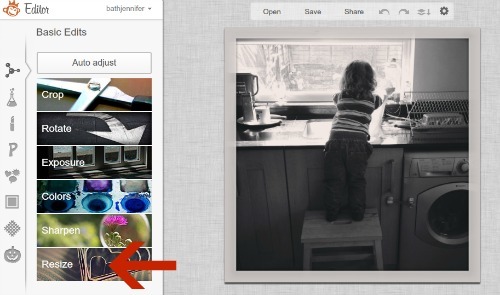 I was just asked, by a very lovely lady on twitter, how do I get my blog name over my photos. This is something I struggled with in the beginning but then along came Picmonkey and made the whole thing beautifully simple. 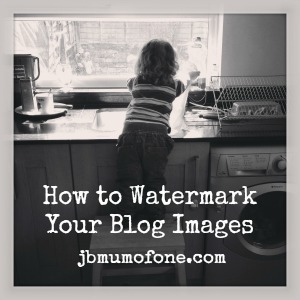 I was about to reply by e-mail but then figured there are probably others wondering the same thing, so, here is a super-quick Picmonkey tutorial on how to add text to images or watermark your photos. 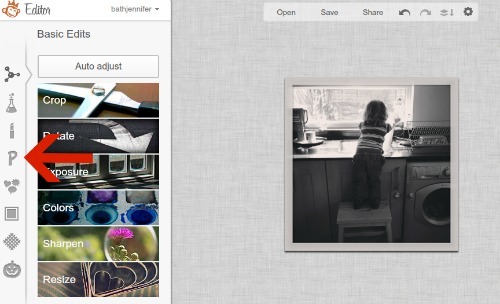 Upload your chosen image and make sure you resize to a suitable size for your blog. I am going to resize mine to 300 x 300 and will post it at the end to give you an idea. Now the image I am using is from Instagram so was square already. 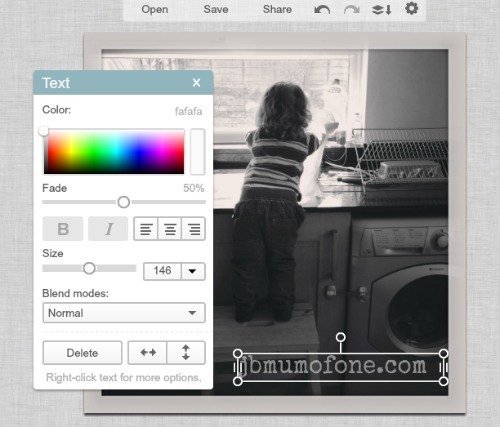 If you want to alter the shape of your image you will see a CROP button on the top of the left hand menu of the screen. Do this before resizing. Now to add your text. At the left hand border of the screen you will see a row of icons. Fourth down from the top is a P. Click on this. You will then be given a vertical menu of different text types to choose from. Click on the one you want, I have chosen special elite, then click add text (red arrow). 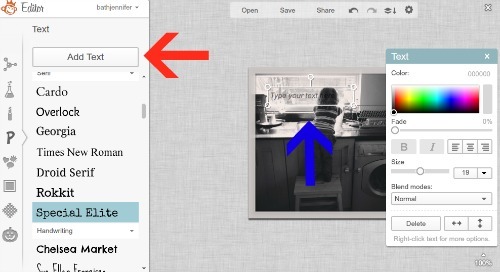 A text box will appear above your photo and add your text here (blue arrow). In the box that appears on the right you will see options to change the size, alignment and colour of your text. To move your text box simply hover over it with your cursor until you see a four-arrowed cross appear and then drag to required position. For water-marking you also have the option to fade your text, shown below. Simply drag the circular button across the scale until you get the intensity you require. Below I have shown the same white text faded by 50%. 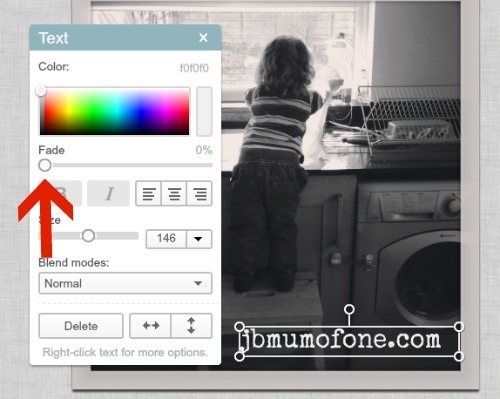 And there you have it, how to add text to an image or watermark your photos. I really hope that you have found this helpful. If so, please consider sharing via any of the many buttons below. So glad you tipped this on Sverve! Thanks for the thorough explanation! Thank you for sharing this with the community on G+! I have pinned and shared it around! Great post! 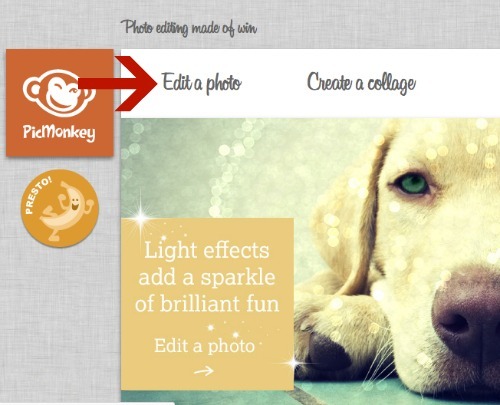 Very helpful and picmonkey is a great and easy to use tool! Thanks for sharing :o) Hope you have a fantastic Tuesday! Thank you so much for sharing!! I have been wondering how to do this! Have a a great day! Thank you, I have been wondering how to do that in an easy way. I will be having a go.